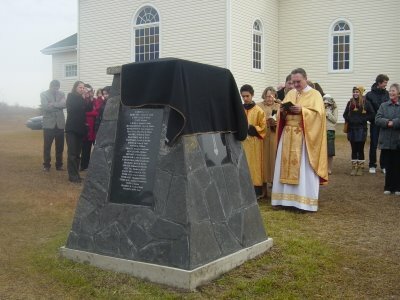 In August 2008, we completed our hertiage cairn to honor those who had foresight to build our chuch. They sacrificed and worked hard so that we might have our church home today. 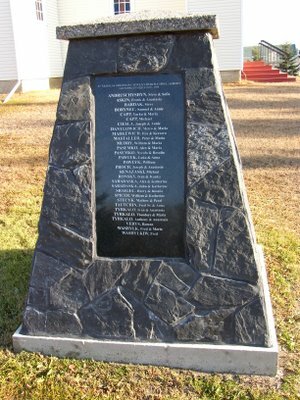 Our monument stands in tribute so that we and those to come may remember the love our founders had for each other and those yet to be. 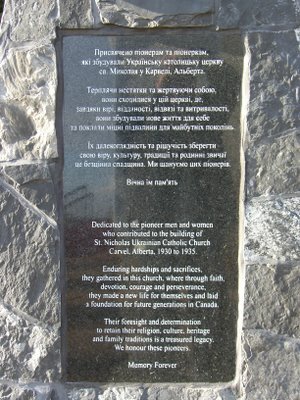 Funding for the cairn was made possible by generous donations of our members and extended family members. 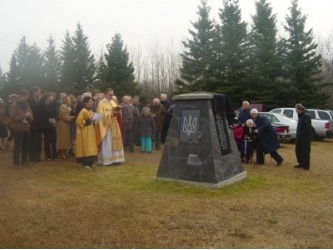 We also received generous donations of the plaques and engraving from Garry at Edmonton Granite Memorials as well as a generous cash donation from The Hills of Hope Society. We are honored that our project was deemed worthy of funding from these esteemed organizations. 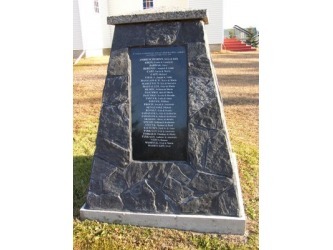 The cairn was built by Dave and Donna Mosher of Custom Cut Stone in Mayerthorpe, Alberta. They worked hard to complete our project on time. 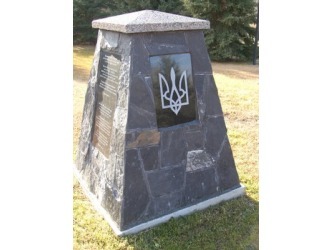 The stone is black rundle with black grout. 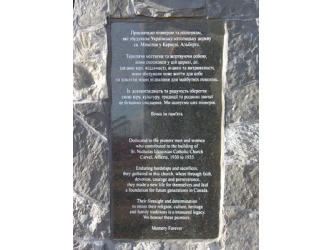 The plaques are engraved in black granite. The cross and tryzub are engraved on granite flecked with gold. 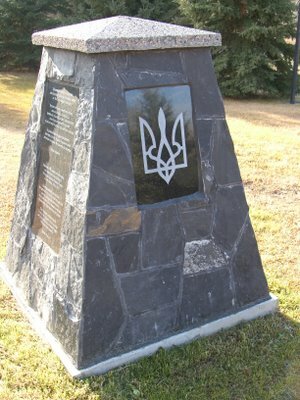 The cross faces to the south and is the first part you see when you enter the church yard; to the east is the dedication verse; to the north is the tryzub, a Ukrainian National Symbol also found on the Carvel hall; and to the west is the list of Founders. 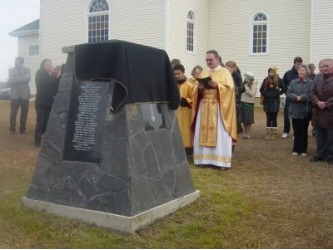 Father Don Bodnar blessed the cairn on November 19, 2008. We were fortunate to have many of the descendents of the honorees present. 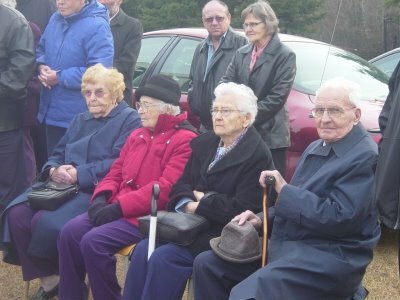 We even had the 5 oldest "children" of the founders present. Four are in their 90's and one is 89. They are pictured below missing one lady.